Interviewing for a job is tough. If it were easy, people like me wouldn’t have to write articles like this one. One of the biggest challenges of the interview process is knowing yourself – really knowing yourself. 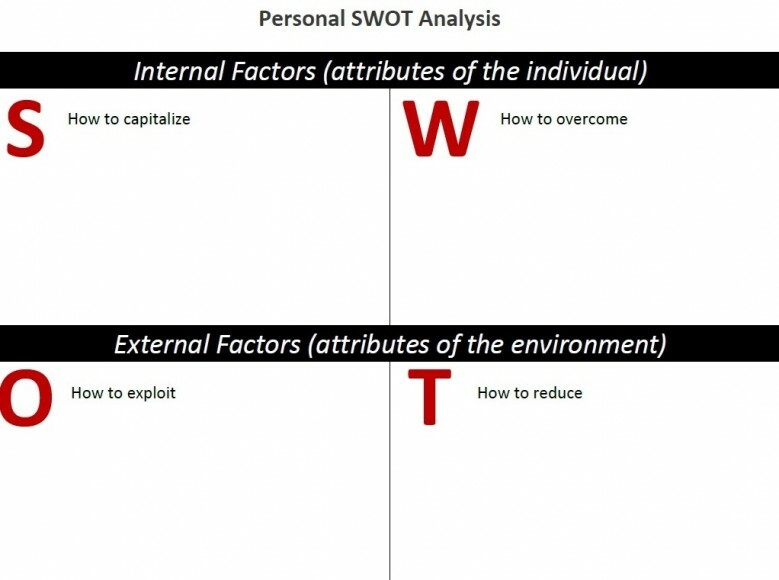 A great way to know yourself is to do a SWOT analysis. So, what does a SWOT analysis have to do with your interview? The answer is quite simple: To get to know yourself, you must analyze the elements of a business called you. 1. Innovation: You have demonstrated innovative approaches to creating marketing campaigns. You introduced paperless marketing to one previous employer, social media to another, and virtual trade shows to a third. 2. Business to Business Marketing: You’ve done this successfully for many years. Included among many of your business partners are seven blue-chip companies. 3. Strategic Thinking: You’ve demonstrated the ability to think strategically and analytically to ensure successful marketing campaign execution, and you can cite numerous examples of times you’ve done this. 4. Cross-Functional Work: You’ve worked across multiple organizations, including engineering, sales, finance, and web design. You’ve demonstrated excellent interpersonal skills. 5. Understanding Customer Behavior: At your previous position, this was a large part of what you did. You worked with business development to determine the best way to target marketing efforts. 6. 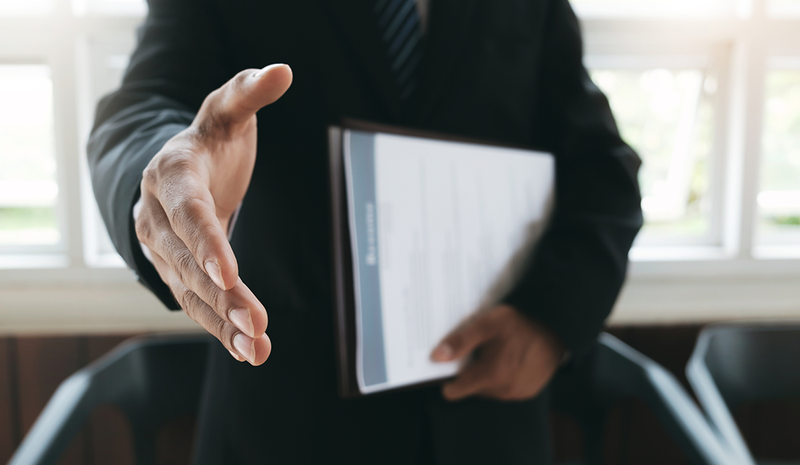 Strong Written and Verbal Communication Skills: Your experience sending written and verbal communications to the press, trade magazines, partners, and customers proves your communication skills are strong. Be honest about your weaknesses. Determine how you can overcome these weaknesses. It is important to demonstrate in an interview not only that you have weaknesses, but also that you have put work into overcoming them. 1. Business to Customer: You have limited experience with this type of marketing, but you have shown your ability to interact well with consumers in your past role as a retail associate. 2. Working with Certain Departments: You have limited experience working closely with internal marketing analytics teams to define requirements for product test plans and campaign analysis. However, your outgoing nature and strong interpersonal skills lend themselves to working with the internal marketing analytics team. Opportunities can be anything that makes a job appealing, such as work/life balance, commute time, increased income, or opportunity for advancement. 1. Great Working Environment: From talking with people you know at the company, you know the company offers team unity and the opportunity for advancement. 2. Work With Previous Colleague: Your previous boss and you got on very well when you were at Company X. You look forward to working with her again at this new company. 3. Your Network is Strong: You know people in management, as well as others who work at the company. Organizations prefer to hire through referrals, so this will be a big help to you. The more opportunities you can think of, the more positive you’ll feel about a potential job. 1. Education Requirement: You lack a bachelor’s degree in a field the company desires (e.g., business, marketing, etc.) and have no resources to acquire one. However, the listing also says “or a related degree.” Your degree in English has served you well in the past. 2. Experience: “Previous marketing internship experience” is a red flag. It appears that the company is looking for a younger, less expensive candidate. Perhaps the company will consider a more experienced employee for the position, or they might develop a position more senior for you. Check out part three of the series, where we look at the importance of researching the companies and positions for which you apply.